We’re nearing the end of 2016 which can only mean one thing; new car unveilings! Car shows start touring across the United States and consumers from Massachusetts to California can take a close look at new cars that will be on dealerships’ lots this upcoming year, and for some models, hitting the showroom before the new year. 2017 is shaping up to be the year of Alfa Romeo, Maserati, and Jaguar, as all three manufacturers have extended their product lines to compete in markets that were once considered foolish to enter. These models include the Alfa Romeo Giulia, Alfa Romeo Stelvio, Maserati Levente, Jaguar XE, and Jaguar F-Pace. Over the next few days, we will go over each model that these three manufacturers have already added or are adding to their lineups. So let’s start off this series with the all new Alfa Romeo Giulia. Car enthusiasts are excited and anxious for Alfa Romeo to officially mark their return to the United States with the arrival of the Giulia. With the 4C introducing consumers to the Alfa brand, the Giulia is what will put the Italian automaker on the map in the American car market. 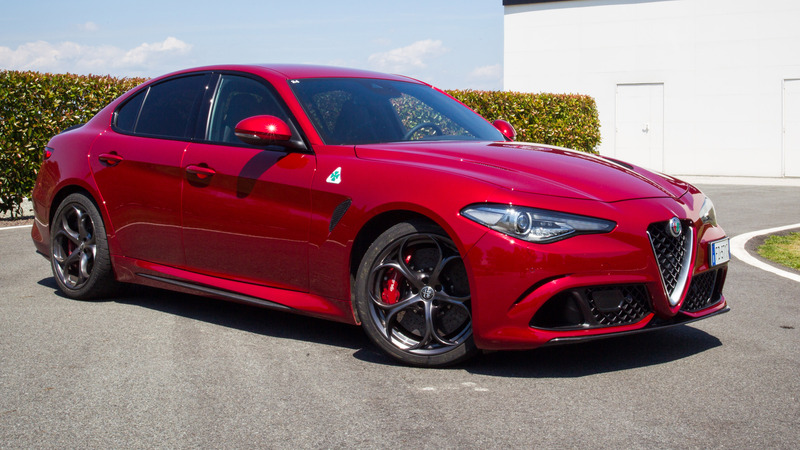 Their answer for the BMW 3 Series and M3, Alfa Romeo is putting a lot of pressure on themselves to hit a home run with the Giulia Quadrifoglio, not only in terms of reliability, but performance as well. Car and Driver’s review seems to echo most journalists, and also enthusiasts, who are well aware of the Italian’s electrical and mechanical issues. The car is impressive. Well, mostly. We did find a surprising number of electrical idiosyncrasies in the cars we drove in Italy, from freezing display screens to a check-engine light. We also found the interior trim did little to dismiss stereotypes about Italian build quality, with some cheap-feeling switchgear and a center console that deflected under gentle pressure. 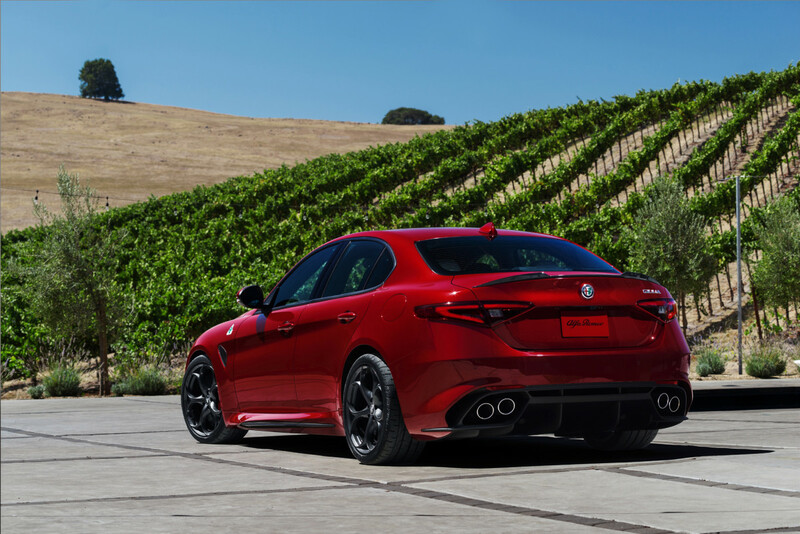 We’ll wait to reserve our final judgments until we have more time behind the wheel, but the Giulia Quadrifoglio seems well prepared to battle the competition from BMW, Mercedes-Benz, and Cadillac. It outguns all but Mercedes’ C63 S by a fair margin and—based on our limited first exposure—delivers more emotional appeal, too. This is one comparison test that we’re really, really looking forward to. The most appealing aspect of the Giulia is the Ferrari powered V6 engine that puts out 505 hp. Unfortunately Alfa Romeo recently said that a manual transmission will not be offered in the United States, which has already disappointed many. On the bright side, the Giulia is not sharing the same platform as the Dodge Dart and Chrysler 200 and instead is built on an Alfa Romeo designed RWD platform making this car unique to the Fiat-Chrysler brand. In terms of performance, it appears that BMW and Cadillac have some serious competition with the Italian’s arrival to the market, and now Mercedes Benz might have a legitimate contender for the C63 S.
Despite the paranoia that the Giulia might end up like many Alfa Romeos that have proceeded it in the past, there’s a lot of hope and excitement for the future. The Italian automaker is hitting the right chord among consumers. They’ll be offering a base model with the price still to be determined, but early estimates are around $40,000, which is within the range of the BMW 3 series, Audi A4, and Mercedes Benz C-Class. A 280 hp 2.0L 4 cylinder engine paired with an 8 speed automatic transmission, and RWD and AWD drivetrains as options, Alfa will have a cornerstone to build from, giving them a good chance of capturing market share rather quickly once it arrives in showrooms in November. Take it which ever way you want, but Alfa Romeo built the Giulia with absolutely no parts from the Chrysler brand. Completely Italian inspired, Alfa has the chance to distance itself from being considered a product of the Fiat-Chrysler brand, which would be an ideal perception they want from consumers as Chrysler, Dodge, and Jeep have had many issues in it’s history since the acquisition by Fiat. Alfa can start off fresh and hit the ground running once the Giulia enters the US market. The Italians are hoping for a successful launch as the their sedan will set the stage for phase two, when the crossover SUV known as the Stelvio, joins the Giulia in Alfa Romeo dealerships’ showrooms in 2017. This is now their time to shine, and as car enthusiasts, we can only watch and wait to see if this return to America is a success. Previous Previous post: The Boston Car Scene: Where Does it Rank? Next Next post: Auto Sales Get Decimated In October – A Sign Of Things To Come?